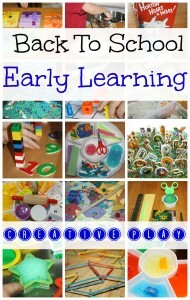 East to Create, Simple, Messy, Alphabet Fun! 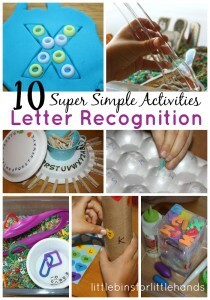 Make letter recognition easy and learn letters the fun way! Get messy! Get your hands right in it and make learning simple when it’s filled with play! 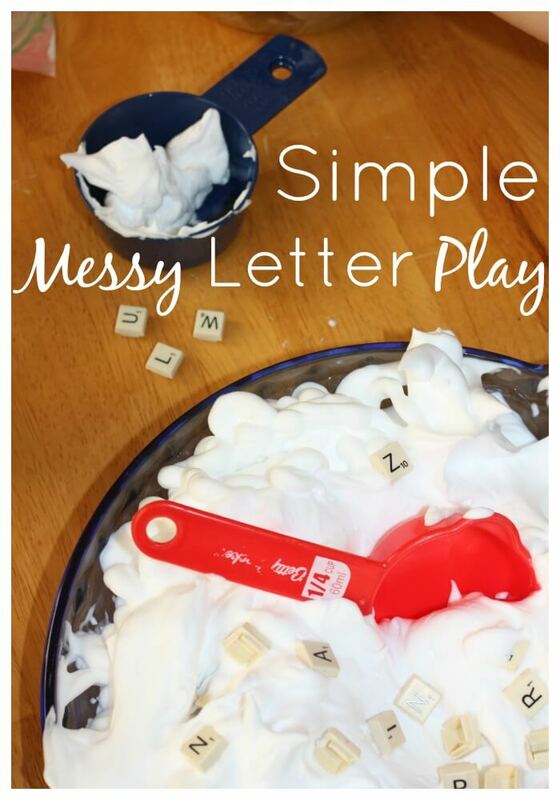 Here we love to find unique ways to explore letter sounds, letter recognition and sight word building with sensory filled activities that are easy to set up! 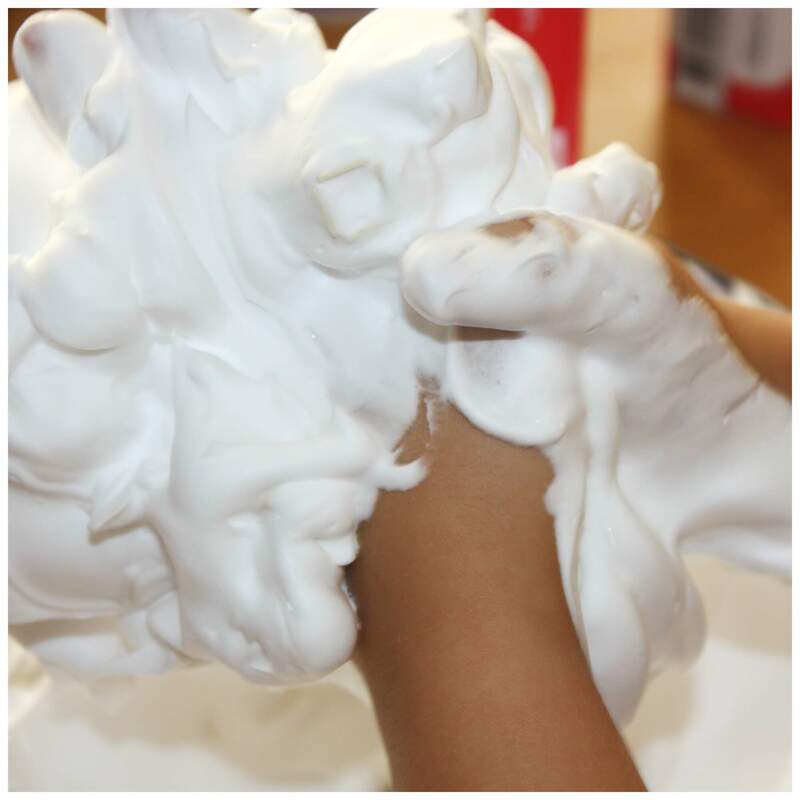 This one is a bit messy, but shaving cream is so simple to wipe up! I found a small scrabble set at a thrift store and just knew those letter tiles would come in handy (number recognition too)! make sure to check out all our awesome hands-on alphabet learning ideas! 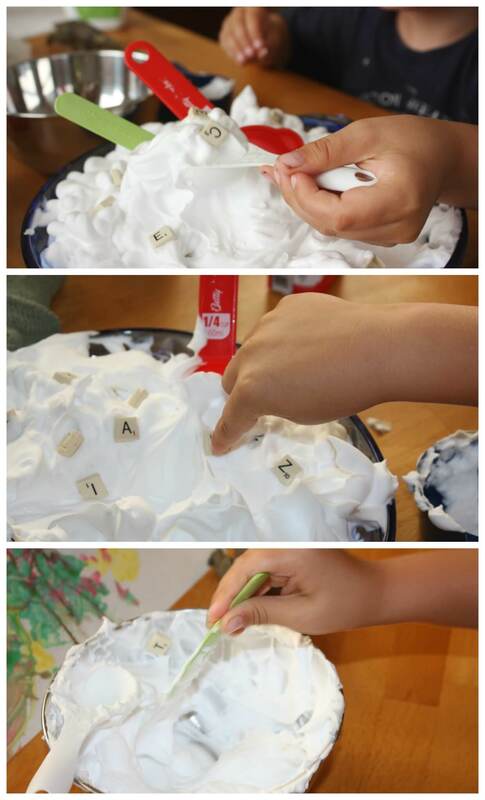 What a quick and easy set up for this simple letter recognition sensory play and pie (soup) making activity. I originally called it a letter pie, and he thought about making soup. I put some of the letter tiles on the bottom of the pie dish and then covered it all with shaving cream (need an edible/safer version for a toddler use whipped cream). 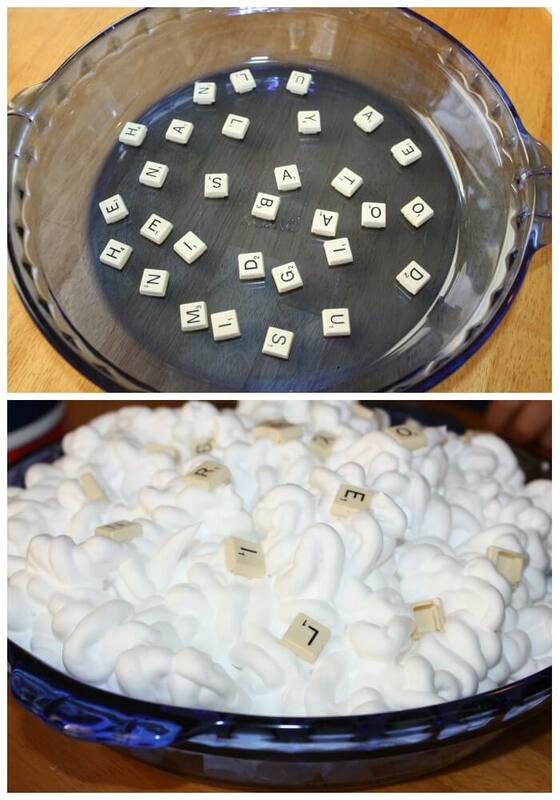 I spread out the letter tiles on the table and we took turns calling out letters as we topped the pie with them. Easy letter recognition fun! Keep it fun! Letter recognition certainly doesn’t have to be boring. Letter recognition can also be a hands-on experience! He enjoyed mixing, stirring, scooping and sticking the tiles around the bowl. He also like calling out a letter that he saw and poking it down into the shaving cream. Time to really mix up this letter recognition play and get the hands right into the fun and dig out letters! 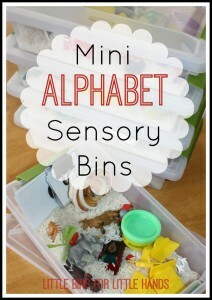 This was such an easy activity for letter recognition practice and even letter sounds! 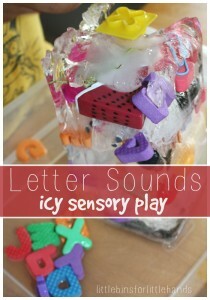 Make letter recognition playful with easy sensory play!